A chalazion is a swelling in the eyelid that creates a cyst. 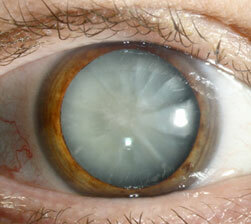 It is caused by inflammation of one of the small oil-producing glands (meibomian glands) in the upper and lower eyelids. The word chalazion comes from the Greek for a small lump. A chalazion is not the same as a stye, which is also a lump in the eyelid. A stye is an infection of a lash follicle that forms a red, sore lump near the edge of the eyelid, while a chalazion is an inflammatory reaction to trapped oil secretions. Chalazion are not caused by bacteria, although they can, rarely, become infected by bacteria. Antibiotics therefore do not play much role in their treatment. In most cases, antibiotics are more likely to cause side-effects than to help. Chalazion tend to be situated further from the edge of the eyelid than styes, and are generally pointed towards the inside of the eyelid. Sometimes a chalazion can cause the entire eyelid to swell suddenly. When a chalazion is small and without symptoms, it may disappear on its own. If a chalazion is large, it may cause blurred vision. Soak the eyelids for ten minutes with a hot wet flannel — as hot as you can stand but not so hot that you burn yourself. An easy way to make a long-lasting warm compress is to wrap a boiled egg or potato in a wet washcloth, which will maintain heat for long time. After the eyelids are soft and refreshed from the hot compress, clean the debris from the glands at the bases of the eyelashes. 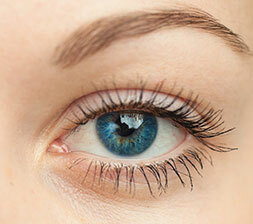 Using a fingertip or a cotton bud, vigorously scrub the bases of the eyelashes. The principle is similar to brushing your teeth but here you can use a side-to-side motion. 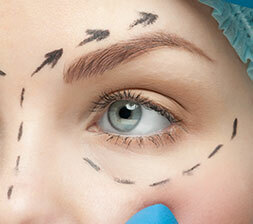 Perform ten strokes per eyelid across the entire length of the eyelid. You can use plain water for this brushing but many patients claim better results if they use a dilute solution of one capful of Johnson’s Baby Shampoo in a glass of water. This cleaning dislodges the caked-in material in the gland, which is then released. If you have been prescribed an ointment, rub it on the eyelashes now. Avoid or decrease your intake of coffee, chocolate and highly refined foods, as well as fried foods and those containing saturated fats. Increase consumption of vegetables and fruits, fresh or lightly cooked. Dietary supplements with omega-3 and omega-6 fatty acids, available in flax seeds or in flax seed oil, may be beneficial — you can use a coffee grinder to grind flax seeds into meal. One tablespoon a day of fresh meal is an excellent dietary supplement and quite palatable. Fish oils are also worth taking. Getting into regular habits of sufficient sleep, moderate sun exposure, exercise and fresh air may improve skin health, the hygiene of the skin and the glands of the eyelids. Stress is often anecdotally associated with episodes of recurrent chalazion, although this has not been established by medical research. Two other treatments can be used on more advanced chalazion. Steroid injections: Steroid injections can be given in the outpatients’ department and often mean that surgery can be avoided. The injection is given after the area has been numbed with topical anaesthesia. The effect of the steroids lasts for a month. If the chalazion is still present, the injection can be repeated. Surgical incision and removal (currettage or excision): If the chalazion is of a significant size, has been present for a month and has not responded to steroid injections (if used),surgical removal can be considered. The procedure usually takes place in the outpatient clinic under local anaesthesia. Treatment usually takes place in the outpatients department, using a local anaesthetic. The problem can sometimes recur — some people seem to be susceptible to chalazion. You are very unlikely to suffer any side-effects from either steroid injections or surgery to remove a chalazion. Steroid injections trigger changes in skin pigmentation in less than one percent of cases. You may suffer some bruising after treatment — this is normal and soon fades. The chance of treatment affecting your vision is extremely remote. The surgery is usually with local anaesthetic. If the lesion is at all suspicious of skin cancer then an excision biopsy is recommended.